An enviable location high above the valley of the Dordogne river. Fully equipped detached Gîte with 2 bedrooms, shower room, open plan kitchen, dining & living room. 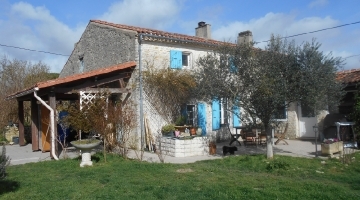 House and Gîte set in manicured 'parkland' of almost an hectare with sensational views. 10m X 5m 'solar heated' swimming pool. 24 sqm wooden workshop / garden store. 5 minutes from village with shops, post office, 10 minutes from larger town with all amenities. Very friendly and active farming community - safe environment with no crime. 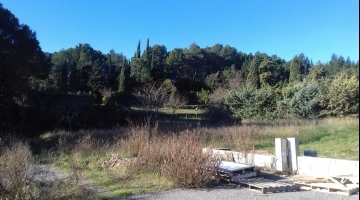 If you are looking for a property with a Tourism based income in South West France, in an area where several villages are designated as ‘Plus Beaux Village de France’, you will be able to see the four villages of Carennac, Curemonte, Turenne and Collonges la Rouge, each so designated, from our garden. Our property consists of a professionally renovated detached house with three bedrooms together with a detached Gîte with two bedrooms. It is located in an enviable position sitting on a ‘Puy’ high above the valley of the Dordogne river, on the edge of a tiny medieval village. The village, with a school, lies at the southern most point of the Correze department where it borders the Lot department and is now part of the 'Nouvelle-Aquiitaine' region. .................. and it could be yours. The single story house has double glazed French doors in each of the three bedrooms, which open out onto a limestone crazy paving patio and steps down to the garden. Two of the bedrooms have marble floors and built in wardrobes and the main bedroom also has an en-suite bathroom. The third bedroom has a marble floor and a shower room with toilet and hand basin immediately adjacent to it. The light and airy 46 sq m living room has a marble floor and a very old, floor to ceiling, ‘baronial’ stone fireplace containing a large fitted ‘DeVille’ wood burning stove with a two speed electric fan. It also has three double glazed French doors, one of which opens onto an 18 sq m South West facing decking verandah suitable for entertaining up to a dozen people. The other two open onto a limestone crazy paving patio with steps down to the garden. The separate, fully equipped, fitted kitchen also has double glazed French doors, eight floor cupboards and nine wall mounted cupboards, an electric oven and a four area ‘induction’ hob, fridge / freezer and an extractor hood. The very successful and lucrative, fully equipped, detached, 57 sq m Gîte has 2 bedrooms both with double glazed windows and permanent insect nets. It has a generous shower room with heated towel rail and a large open plan kitchen, dining and sitting room with French doors opening onto a decking verandah for al fresco meals. The Gîte has hard wired Wifi which also covers the large poolside patio area. There is much scope to increase the income from this small ‘hobby’ business as it presently only operates for the four Summer months and is mainly occupied by family & friends at no charge. The gite has just ( July '17 ) been inspected and rated as a 'three star' gite by the newly formed authority of 'Nouvelle-Aquitaine'. For a full description and more information about the Gîte and this area of France please copy and paste the address below into your browser. 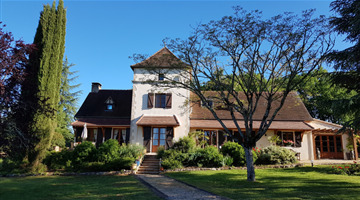 Both detached buildings are set in 9447 sq m of ‘parkland’ with unobstructed, stunning and far reaching views of the Valley of the Dordogne and beyond. Between the house and the Gîte is the 10m X 5m ‘Solar Heated’ swimming pool with it’s expansive patio area and gazebo for much needed shade from the Summer sun. There is a large 24 sq m wooden workshop / garden store with water and electricity connected. The property is 5 minutes from a village with a small supermarket, baker, butcher and post office ; 10 minutes from the lively French, Dutch, Belgian and British holiday destination of Beaulieu sur Dordogne with it’s market, shops, supermarkets, restaurants, medieval quarter and of course the river Dordogne together with all the activities that go with it and also just 35 minutes from Brive, Valley of the Dordogne International Airport. The entire property is in good order with no work to be done. There remain however, if so inclined, plenty of opportunities to be creative with the land and or the marketing and letting of the Gîte to build upon it’s existing ‘perfect’ reputation. However the Gîte is large enough for a long term or even permanent ‘let’ or conversely it could be a perfect ‘Granny & Gramps’ Annexe’.